Ever wondered how to simplify shopping for New Zealand made possum fur pressies and save at the same time? We’ve formulated a 4 pack pressie pack complete with natural possum fur scarf collars: 2x natural brown and 2x natural grey. 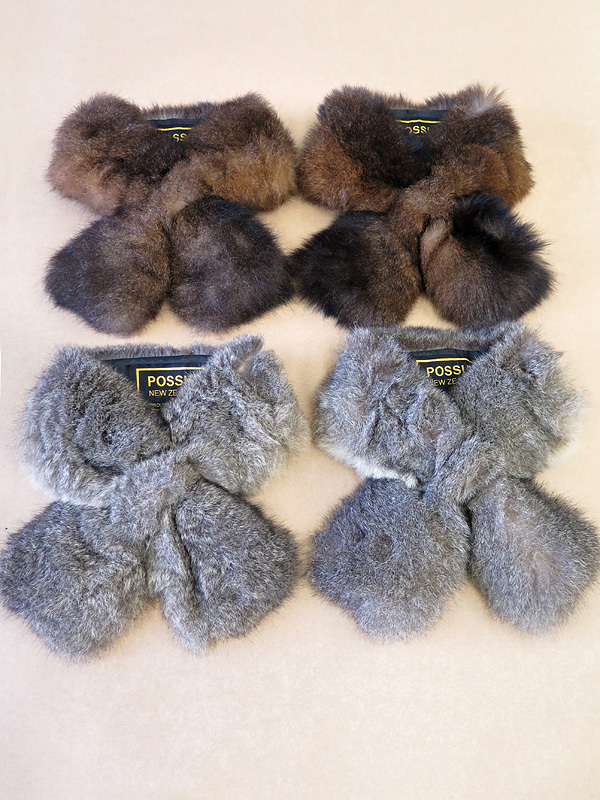 These possum fur scarves are ingeniously designed with a double button hole for the end to pass through, thus sitting snugly around the neck and not moving. What great insulation against the cold! The back of the scarf is lined with black polyester taffeta for strength and durability. These 4 packs are great for corporate gifts, end of year pressies, outlets wanting to test reselling our products, as well as for tourists who want to simplify their holiday purchasing. Amazing quality and amazing value direct from the manufacturer.